BATAVIA, N.Y. -- Generally, the mission of Genesee Community College, "…we foster exceptional teaching and learning opportunities that result in intellectual and social growth, economic advancement and engaged citizenship," is evidenced across campus where students and faculty interact. However, sometimes those students are also staff members seeking to further their knowledge base through classes or courses thousands of miles from any of GCC's seven campus locations. Sometimes the student even has grandchildren, and is already actively engaged in the community. The mission of fostering learning opportunities for intellectual and social growth was part of the inspiration for John M. McGowan, of Batavia, NY, to complete his Doctor of Psychology with specialization in Sport and Performance Psychology from University of the Rockies in Denver Colorado. He began his studies in their online program in 2011 and successfully completed his dissertation and received his diploma just last month. Dr. McGowan's dissertation, "Experiential View of African-American Male Basketball Student-Athletes in Community College: A Phenomenological Study" explored a phenomenon of academic and career underachievement among this student population. McGowan studied the discrepancy in motivation between the athletic challenges on the court against cultural, social, academic, and career barriers experienced outside the classroom, seeking out why the African-American male population rarely sought out career advisement and assistance. "Over the past 14 years as an employee of GCC, I have been fortunate to work alongside great people and provide learning opportunities for many students. Like any learning environment, we all learn from the students we guide. As a student and current professional staff member myself, I've always been curious as to why student athletes are so motivated during sports competitions and not as motivated in the classroom or in career planning efforts," Dr. McGowan said. "I've followed my curiosity for the past seven years and am thrilled to have earned a doctorate degree. The field of Sport Psychology explores a multitude of topics which can be applied to many diverse with an endless potential for learning. I am excited to apply my new learning to the students, faculty and staff at GCC, the workforce development efforts of my team in The BEST Center as well as the rest of my life." 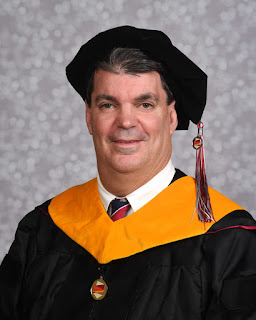 Dr. McGowan also earned a Master of Science in Education and a Bachelor of Science in Business Administration from the SUNY College at Brockport in 2003 and 1994 respectively, and an Associate Degree in Business Administration from Genesee Community College in 1986. He is also a 2017 graduate of Leadership Genesee. Dr. McGowan first came to GCC as the Perkins career program coordinator in 2005 and quickly moved to Career Services coordinator. In 2006 Dr. McGowan took on the role of Career Services Coordinator as well as adjunct instructor of English as a Second Language for Brazilian students enrolled in SUNY's Global Emersion Program. Then, in 2014 Dr. McGowan became director of the BEST (Business and Employee Skills Training) Center. Dr. McGowan's hard work and dedication to his Doctorate have earned him a place in GCC's new Recognition Matters series which highlights the accomplishments of the College's faculty, staff and students. Officials at GCC have embraced this series as a way to acknowledge not only the achievement, but the high quality of the recognized individuals who demonstrate GCC's "beyond expectations" brand.